24/7/365 days a year! Our Sys Admins have been working hard to keep all systems up and running.Our system administrators have always played a vital role in making our client’s applications & servers working reliably and securely. 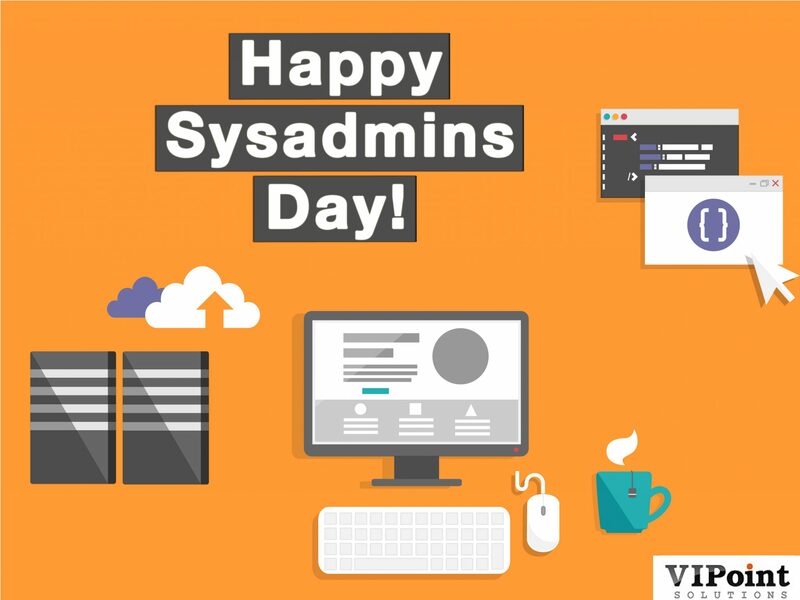 It’s time for us to show a sense of gratitude and pay a token of appreciation to them today, on the 18th Annual ‘Sysadmin Day’. Right from patching your Linux servers at midnight 2 am, to updating database schemas without impacting the availability, ensuring connectivity of systems, solving user permission issues, to even being vigilant and being proactive in mitigating the latest security threats to the business, and the list goes thereon. The sysadmin role covers a lot of job responsibilities. A big salute and thank you to all our superheroes who have been supporting us for all our reputed clients viz. hosting companies, data center’s and ISP’s worldwide. Did you know that, without your presence, the Internet wouldn’t even work smoothly! Hats off to you, Team VIPoint Solutions aka Team Nodericks Technologies.